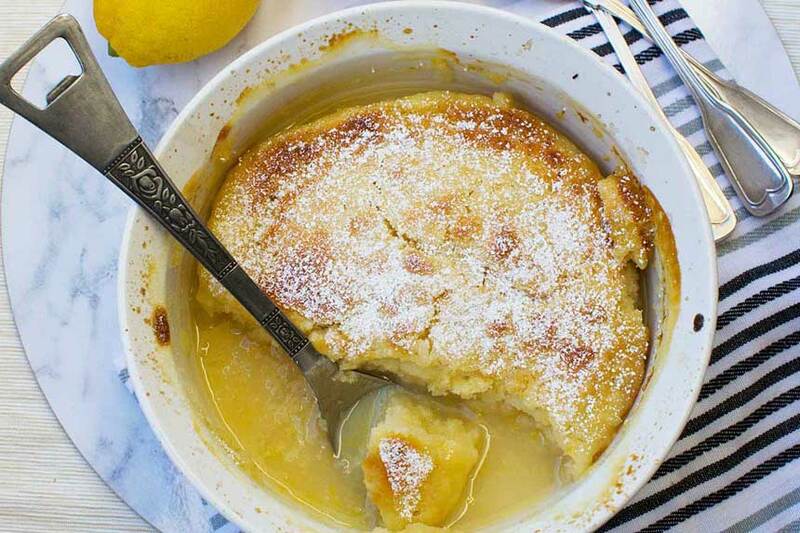 An intensely flavoured lemon pudding that magically separates into two delicious layers – one cake, one sauce. Make it with only 5 main ingredients – no eggs needed! Since we moved to Australia just over a month ago, I’ve had lemons coming out of my ears. Both sisters-in-law gave me a bag of them fresh from the garden. If they hadn’t, I could have picked up a bag from a neighour. It’s not uncommon here to see bags of lemons sitting on driveways with a sign in front: ‘Free lemons’. But if you’re going to take those lemons, you really need to think of something to make with them. And relatively fast before they turn into green powder in your fruit bowl. then you pour over lemon juice, sugar and water and bake. While in the oven, the dish ‘magically’ separates into a cake layer and a lemon sauce layer. Add ice cream and eat. 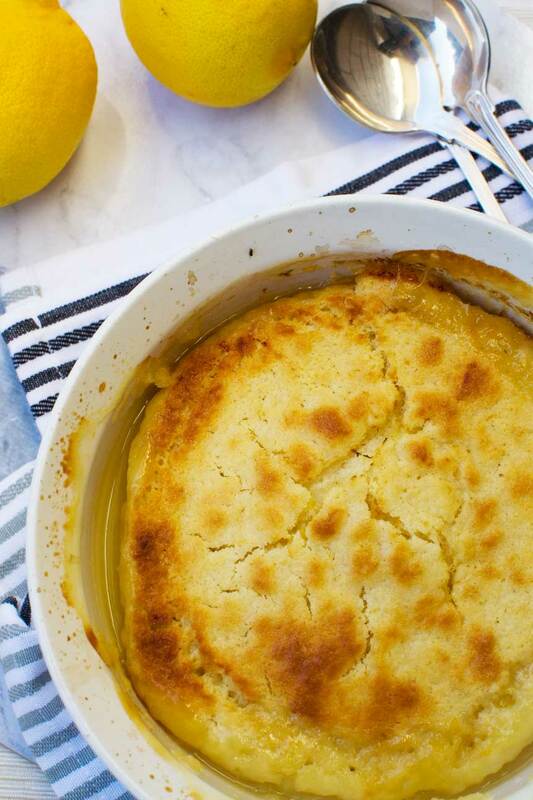 Hopefully you’ve fooled guests into thinking you’ve slaved away over this magic lemon pudding, when really it only took you 5 minutes to throw together. Massive win. In the past, I haven’t had much success making anything that has ‘magic’ in its name. A chocolate self-saucing pudding ended up with hardly any sauce and a magic apple cake tasted divine but didn’t have the 3 clearly defined magic layers it was supposed to. And to be totally honest, this recipe tends to divide a room. We have made it several times and love it, but it does receive mixed reviews. The key to success is to leave the lemon pudding to cool slightly for ten to fifteen minutes after it comes out of the oven. The sauce might look a bit runny at first but if you let it stand it thickens up nicely. But then eat it immediately. We found this tasted really nice re-heated the next day but some of the sauce had sunken into the cake. I hope you enjoy this. It perhaps won’t ever win any beauty contests, but we think it’s a delicious ‘got-to-have-dessert-right-now’ recipe! 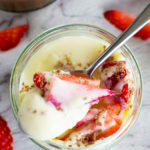 Update: The original magic lemon pudding recipe I adapted had very mixed reviews, and so does this one! If you give this a go and like it, would you consider popping back and leaving a review? Thank you! 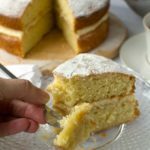 A quick and easy lemon pudding that separates impressively into 2 layers - a cake layer and a sauce layer. Magic! Pre-heat the oven to 355F / 180C and grease a medium sized high-sided baking dish with butter. Mix together the flour, sugar and lemon zest in a medium bowl. Pour the milk / butter mixture into the dry ingredients and stir until well combined. Empty the batter into the baking dish. Mix the sauce ingredients together, then carefully pour over the batter in the baking dish. Bake for about 35 minutes or until the top is golden brown and the sauce starting to bubble around the sides. Take out of the oven, then leave for 10 to 15 minutes to allow the sauce to thicken slightly before serving. Sprinkle with icing sugar and serve immediately with vanilla ice cream (if you like). A note on the appearance! Some readers have reported this dessert to be 'too runny'. There IS a lot of sauce, and when you first take it out of the oven it's bubbling and runny looking. Leave it for about 15 minutes however and it should thicken up nicely, leaving the equally as delicious cake on the top. 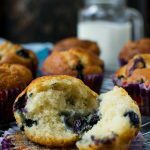 The self raising flour in this recipe is crucial for it to work, so make sure you don't use plain flour instead. If you don't have any self raising flour, simply add 1.5 teaspoons of baking powder and half a teaspoon bicarb of soda/baking soda for every cup of flour. 🙂 Glad you like it! I will try this as soon as I get some lemons. I make a chocolate self saucing which works. The worst part is waiting for the pud to cool. I know – trust me to pick a dessert! I have some lemons and can’t wait to try this! So easy and looks perfect! 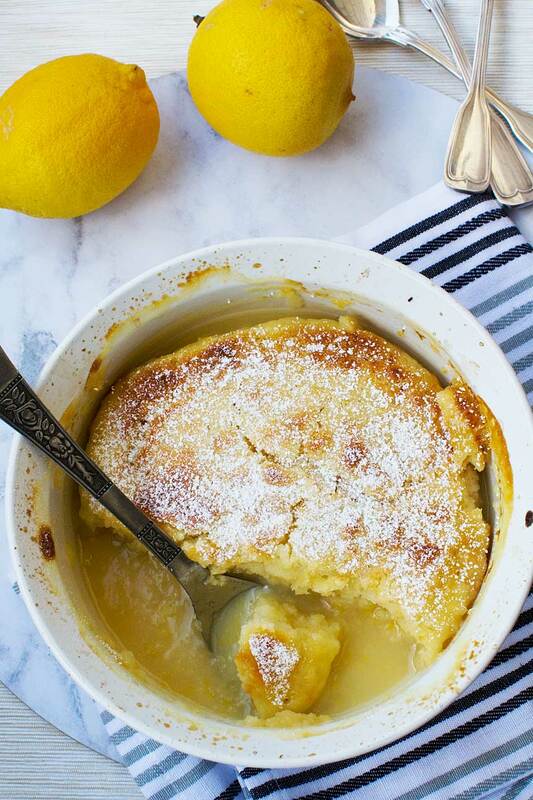 I love lemony desserts so this has me swooning! Lucky you with all of those lemons! I know – so lucky, hey? Australia is great for fresh and even home grown produce! Hi Liz – so lovely to hear from you! I must pop in on you too! Yes, we moved – again. One day we will settle! Can’t wait to make this on my own! 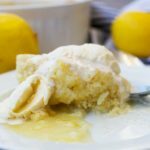 I love cakes, puddings, and whatever other desserts made with lemon! oh lemon desserts are the best! I tried to make this and it was a disaster. The liquid stood on top of the cake and after 45 minutes there were still several inches of liquid. It didn’t taste lemony at all. The texture of the cake was really weird. I looked up other recipes for this kind of pudding and they call for eggs. Maybe this needs eggs. Same I tried to make this using this recipe and it was a disaster too, liquid stayed on top and batter was heavy and a horrid consistency, found another with eggs which worked perfectly, this DOES NEED EGGS! Hi Ree, sorry to hear this! Of all the recipes on my site, this is the one that seems to divide a room. The reviews on the original recipe I worked from are also very mixed. It’s always worked perfectly for us if I leave it to ‘settle’ for 15 minutes before serving. It’s not the prettiest of desserts but it isn’t supposed to be – it’s a quick ‘got to have dessert now’ recipe. Glad you found something else that you liked better! This worked perfectly for us, even without eggs. 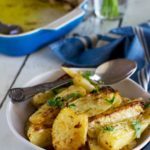 It’s really quick and easy and tastes really lemony. Delicious, even the next day. It is important to let it stand a bit though before you eat it. Yes, very easy. Worked a treat. Very nice. Magic. Hi, Peter. Thanks so much for taking the time to leave your feedback and a rating. Really appreciate it – and glad to hear you enjoyed it! We were looking for a quick pudding recipe and found yours, so gave it a whirl. Have to say we loved it – really beautiful, and we ate it straight away (no waiting 15 mins for us). Hi Dan, thanks so much for taking the time to leave a review and rating. I’m very pleased that you enjoyed this as much as we do, and it’s interesting that you didn’t bother waiting for 15 minutes for the sauce to thicken. Maybe I’ll try gobbling it up straight away next time too! Great to hear this, Karla. Thanks so much for making the effort to leave your review! Very easy to make and was delicious both warm and cold after being left overnight in fridge. I let the liquid ingredients boil with the sugar for a couple of minutes before pouring over batter. Will definitely make again and possibly double the batter next time. Thanks so much for taking the time to leave your review, Elsa, and for the top rating. I will have to try making a double batch next time too! This recipe worked for me. My neighbour gave me lots of huge lemons(1 lemon yields on average 200ml of lemon juice). I had so many lemons to get rid of so I googled lemon recipes and this was the easiest. I cooked it this morning and have already eaten a quarter..without ice cream it’s still lovely and soft and lemony. 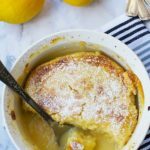 This is the reason I made this recipe too, Leah – I got tons of lemons from a neighbour and needed to find something to do with them! So glad it worked well for you! I must make this again some time soon! I just made this, and was a little worried when I saw the ratio of batter to liquid after having seen the negative reviews. But it didn’t take long for the batter to rise and the sauce to start bubbling, I wonder whether having the oven good and hot (I preheated to 220C) and a tin rather than ceramic dish might be the hit vs. miss factor? It turned out perfectly, the sauce was so think and gooey. And it was a definite hit with the family,so I’ll be saving it for future use! Next time I’ll sprinkle coconut on top too. So easy and so delicious – we made it two days in a row! Oh so happy to hear this, Juanita! Thank you so much for sharing your review! Loved this! So easy and so yummy. We made it two days in a row! 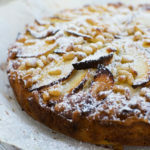 This doesn’t need eggs, but for me it did not turn into pudding—the super tart lemony water just ended up beneath the cake, and the portion of the cake that touched the water ended up kind of custard-like, which was yummy. I was very skeptical at “sauce” being formed from water, lemon juice, and sugar. Also, I loooove lemon, but the juice is way too tart. My cheeks are literally puckering. So hopefully this helps someone looking to make it. Temper your expectations. Hi Malorie, I really appreciate your honest and thorough feedback. This recipe really does divide a room, but I’m glad you enjoyed the ‘custardy’ part of the cake. I don’t remember that. My pudding usually ends up very distinctly thick(ish) sauce (as long as you give it some time to cool and thicken slightly) with cake on top. Did not work for me. Had way to much liquid at the top, it never browned. The lemon water sauce on top was way to tart for our taste, couldn’t eat more than a spoonful each unfortunately. The texture was a lot like rubber and stuck to the roof of our mouths. Won’t be making it again. Sorry. Hi Henk! So sorry it didn’t work out for you. I really can’t figure out why this works for some and not for others. 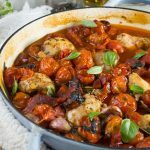 I do find if you leave it standing to cool slightly the sauce thickens and sinks quite a bit, but it sounds like this recipe isn’t for you anyway and you won’t be trying it again. Mostly I think it’s down to personal preference. Thanks for leaving your honest review anyway! Thank you so much for this! Absolutely wonderful recipe! Soo easy, Soo delicious! Needs cream, or vanilla ice-cream. It’s in the oven as we speak, for the 5th time since discovering it, 1 month ago. Hi Hannah! Yay, you like it! People seem to either love or hate this recipe, so I’m pleased there’s another name added to the ‘love’ list! Do you like chocolate desserts, too? 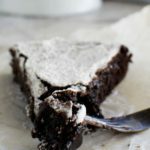 If so, try my 6-ingredient gooey Swedish chocolate cake. 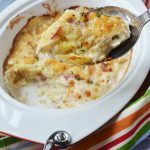 Just as easy to make, and always a crowd pleaser! I’m another disappointed cook i’m afraid! I followed the recipe carefully but ended up with a half-set cake mix in a sea of lemony liquid. Let it cook for about 10 mins more and it was going dark on top but still not properly baked and not much distinction between the cake and the sauce. It was lovely and lemony but a bit of a visual embarrassment to serve and the cake texture was not really like cake at all… might try again with some of the adjustments people have suggested. Aww… shame! Sorry about that, Kate! I’ve never had this fail on me, so I don’t really have too many suggestions. I know some people have left their thoughts above though so might be worth reading through. I suppose you left it to sit for a while before eating? I’m impressed that you’re willing to give it another go! By the way it’s never going to be the best looking dessert on the block. I’m thinking I should give this a go again soon and see how it turns out for me with a new oven. This is one of my older recipes and still always gets very mixed reviews. 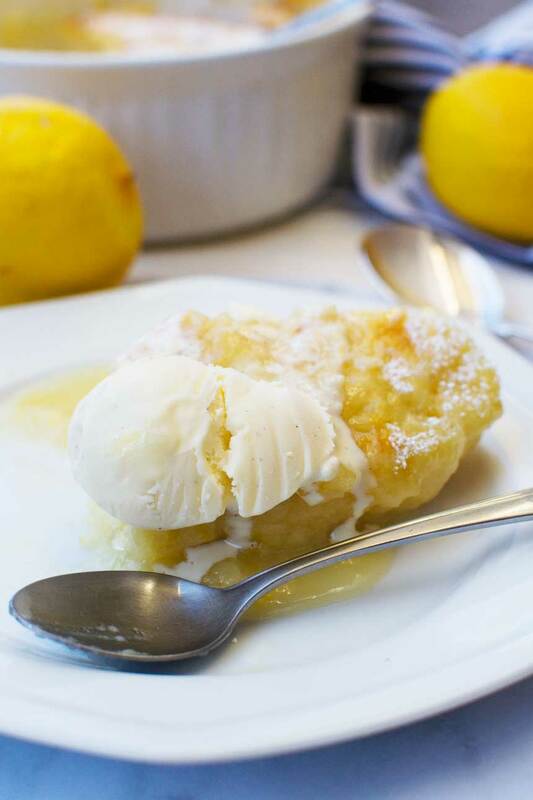 For years, I’ve been looking for a lemon equivalent to my family’s “hot fudge pudding cake.” I occasionally make the version with eggs (mentioned by others) but don’t like the consistency of the cake. Beating egg whites is too much work when you don’t even like the result! So, I was excited to see your recipe. And, it’s perfect! Exactly what I was looking for. I didn’t have any of the issues that other people have posted. For some, I wonder if they accidentally used plain, and not self-rising, flour? Anyway, mine came out of the oven about an hour ago, and I”ve already eaten a quarter of it. Hi Jennifer! Oooh, you’ve made my day!! Thank you so much for leaving your positive feedback. This is indeed a recipe that some like, others not so much, but your tips are really helpful. I’ll add a note in the recipe about the flour – that could be an issue some are having. Hope you managed not to eat the whole pudding all by yourself!!! Interesting you mention a hot fudge pudding version. Oooh, I will have to try that! Hi Sue! So wonderful to hear that this worked out well for you. I remember being a bit skeptical about the lack of egg too, but it’s amazing what you can make without eggs, oil, butter etc.! I’m thinking of coming up with a chocolaty version of this too… mmmm! Guuuurl! This came out so dang good.. I used Splenda and added a little cornstarch slurry to the sauce. It is so refreshing on a winter’s day here in North Carolina. Hubby wants a full on Keto version but did agree this is worth the carbs. It’s great warm and cooled. Thank you SO much for the feedback, Rebecca! It’s so valuable, especially as this recipe gets such mixed reviews. Interesting that you added cornstarch! So glad you enjoyed it! I’m thinking of posting a chocolate version of this. Interested?